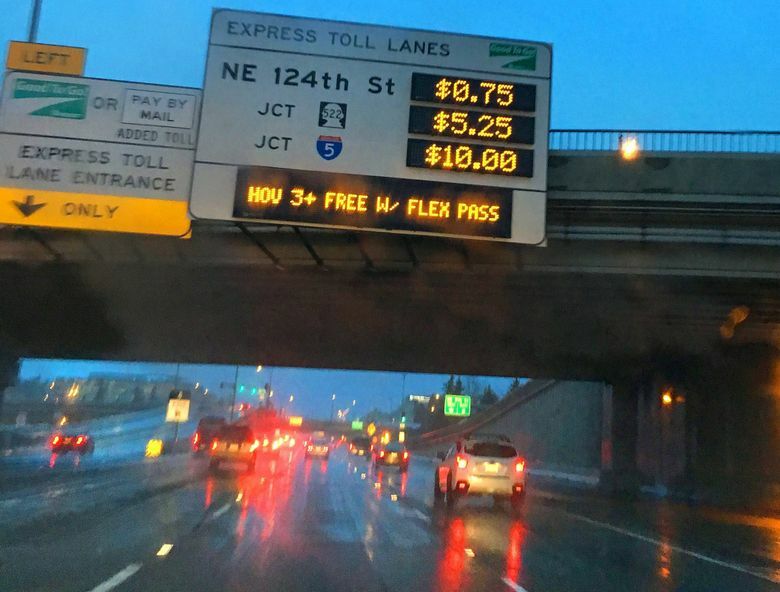 A new audit confirms many drivers’ complaints about Washington’s toll system: It is rife with mistaken data and uncollectable bills, and quality control hasn’t been the top priority. Washington’s toll system has been rife with mistaken or obsolete data that caused thousands of bills to be mailed late, go to the wrong address or not be collected at all, according to a performance audit released by the state Auditor’s Office. Nearly 6 percent of mailed toll bills were undeliverable during the audited period, July 2014 to March 2015, largely because contractors were using unconfirmed address or ownership information from the state Department of Licensing, said the audit issued Wednesday. So about 175,000 bills bounced back to Good to Go toll offices. In addition, processing troubles were “preventing the creation of about 800,000 toll bills,” the report said. Nearly two-thirds would have been collectible, yielding $2.6 million, if industry-standard systems were in place, auditors said. The report independently validates drivers’ complaints about errors and late bills. Recently, the state sent belated bills for 126,000 trips involving 8,200 license plates, blaming the episode on the billing contractor’s March 2016 computer glitch. Roger Millar, acting secretary of the Washington State Department of Transportation (WSDOT), said in a responseletter that important context was overlooked: 94 percent of charged tolls were collected, he noted, making Good to Go “among the nation’s best performers,” according to a panel of state-appointed outside experts. The national norm would be 65 to 70 percent, the panelsaid, given normal lag times between a bill and a payment. “The issues described … represent the experiences of less than one-third of 1 percent of all tolled trips, but our commitment to give each driver the customer service they deserve is 100 percent. We know we have some work to do,” Millar wrote in an op-ed. Only 16 percent of those who cross the Highway 520 bridge receive toll bills in the mail. About 65 percent of drivers there have Good to Go transponders that deduct the toll charges from an online debit account, while 19 percent register license plates online with the toll division. But the system has operational limitations that “are not only causing difficulty with the collection of tolls, but also added customer frustration,” said Sohara Monahan, senior performance auditor. The report criticized officials for postponing necessary tools, such as software to reclassify certain bills as uncollectable, because toll managers were focused on launching the I-405 express toll lanes last year. Patty Rubstello, WSDOT assistant secretary for tolling, said Electronic Transaction Consultants (ETC), the toll-collection contractor, lacked the resources last year to both improve accounting systems and prepare for I-405 tolls in time for the Sept. 27 launch. The state had to choose, she said. To delay would have cost $500,000 to $1 million per month, spokesman Ethan Bergerson said, because WSDOT would need to pay extra to companies installing lanes, barriers and equipment, Rubstello said. WSDOT said it is improving quality control. Rubstello said an independent security check has been finished, as auditors suggested, to confirm the safety of customers’ debit- and credit-card data. The audit also found some license-plate cameras were aimed incorrectly and missed plates — but Rubstello said accuracy will improve because, with the opening of the new 520 bridge, toll devices were moved from the bridge to shore, reducing vibrations. Last summer, the state implemented an amnesty program, based on legislation by Hill. Drivers can now waive civil penalties of $40 per trip for overdue payments, by visiting or calling a toll office. More changes are likely to be proposed in 2017, Hill said. Drivers were charged a cumulative $425 million between December 2011 and June 2015, on the Tacoma Narrows Bridge, Highway 520 bridge and Highway 167 high-occupancy or toll lanes. Of that income, $39 million was paid to ETC, including $4.5 million to prepare for I-405 tolls, as of mid-2015. Millions went to other vendors for equipment and roadwork. The review, one of many agency audits required by Initiative 900, was conducted by TAP International. It did not examine I-405, because tolling just started there. Errors can erode long-term public support to begin further toll projects, the audit mentions. The future Highway 99 tunnel will be tolled, the Highway 167 and 509 extensions are expected to be toll roads, and planners occasionally speculate about future express toll lanes on I-5. WSDOT will have a chance to upgrade software, add customer service or even change vendors when a new request for bid proposals goes out late this year.